← Does Apple Make Hearing Aids Cool? We Think So. One week from today, 36,000 people will run the 118th Boston Marathon, the world’s oldest annual marathon. Just one year ago, this iconic event was torn apart by a horrific bombing at the finish line. As we approach the anniversary, we remember those affected by the terrible events of April 15th, 2014 and examine the acoustic trauma experienced by many who were near the blast. In the following weeks, treatment recommendations were made based on experience with traumatic perforations from other causes, clinical and scientific literature on noise-induced hearing loss, and recommendations from military literature and military colleagues. However, this experience led them to acknowledge that there is a lot we don’t know about blast-related ear injury. Since the bombing, they have been conducting research into the consequences of acoustic trauma. Results have not yet been published, but we hope that it will lead to better treatment of these types of injuries. 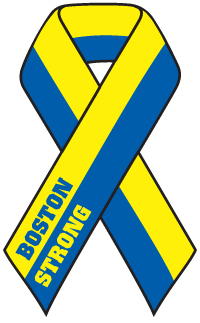 This entry was posted in Audiology Awareness, Noise & Feedback and tagged Boston Bombing, Boston Marathon, hearing loss. Bookmark the permalink.